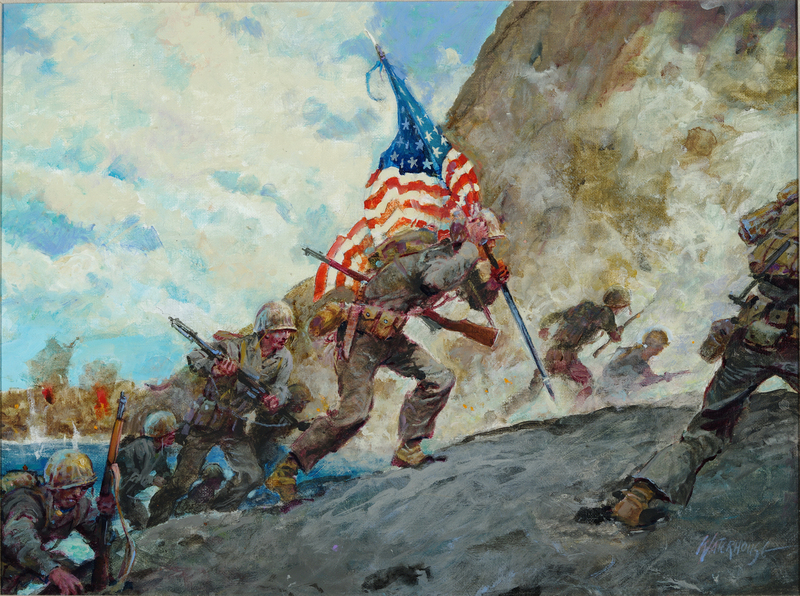 Gift of Col Charles H. Waterhouse, USMCR (Ret), Art Collection, National Museum of the Marine Corps. The information provided by the Headquarters Marine Corps (HQMC) Marine Corps Birthday Ball association ("we," "us" or "our") on usmcbirthdayball.com (the "Site") is for general informational purposes only. All information on the Site is provided in good faith; however, we make no representation or warranty of any kind, express or implied, regarding the accuracy, adequacy, validity, reliability, availability or completeness of any information on the Site or its external links. Proceeds from this event go to the HQMC Marine Birthday Ball association. The U.S. Marine Corps does not endorse this event/product. UNDER NO CIRCUMSTANCE SHALL WE HAVE ANY LIABILITY TO YOU FOR ANY LOSS OR DAMAGE OF ANY KIND INCURRED AS A RESULT OF THE USE OF THE SITE OR RELIANCE ON ANY INFORMATION PROVIDED ON THE SITE. YOUR USE OF THE SITE AND YOUR RELIANCE ON ANY INFORMATION ON THE SITE IS SOLELY AT YOUR OWN RISK.